Rocket Matter Knowledge Base Rocket Project Management (NEW! 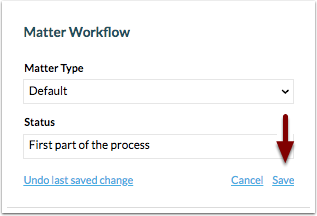 )How do I change the matter workflow status. 1. 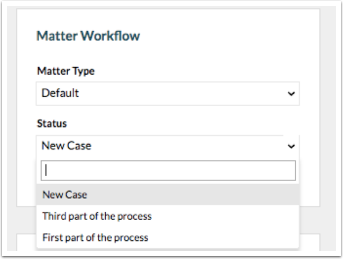 Navigate to the matter dashboard of the matter you'd like to change the Matter Status for. 2. Click 'Edit Workflow Status'. 3. Choose the status you'd like to transition to next. 4. Click 'Save'. * If a matter template is attached to this status, all calendar events and tasks for this status will now trigger. 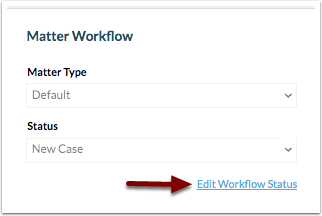 Prev: How to apply a Workflow Status to new matter. Next: How do I undo a matter workflow status change.